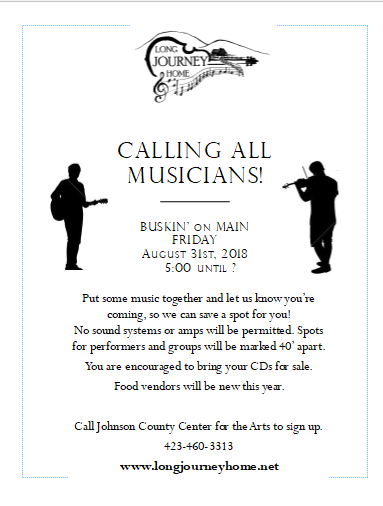 Register your group here for the busking event on Main Street on Friday, August 31st, 2017. You can stop by the Arts Center and pick your spot on the map posted. 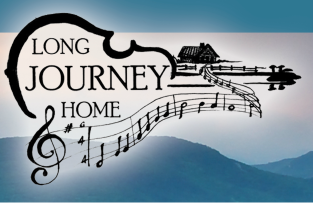 One of Long Journey Home's most important goals is to promote the continuation of the music that makes our hometown so special. Your ideas and input are always welcome!